Weight gain can be coming from something you never heard about. There are a number of foods you may be eating that are sabotaging your efforts to lose weight. Have you ever heard of Lectin? This is a plant protein that is so bad for you that when insects eat it they die. You find it naturally in night-shade vegetables, such as tomatoes, eggplant, white potatoes, and peppers. Lectin is also high in grains, beans, legumes, soybeans, peanuts, and cashews, (which are a bean, not a nut). 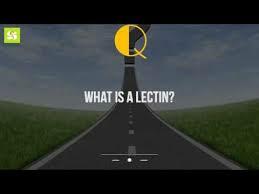 It's important to know what a lectin is and how it affects you. They are highly resistant to the body’s digestive system and basically pass through it without being changed. They permeate the gut and are a cause of leaky gut. Listen to the video provided below for detailed information on the causes of leaky gut and the impact that foods containing lectin have on your body. Lectins can also interact with antibodies, which are a core component of the immune system. This may cause an immune reaction not only against the lectins but also the body tissues to which lectins are bound. This type of response is known as an autoimmune reaction, where the immune system mistakenly starts attacking the body’s own structures. This is how lectins may increase the risk of autoimmune diseases. Some plants have high lectin content to discourage animals from eating them and although not clea it seems to be a plant survival technique. The consumption of a large amount of lectin could actually result in death. We have been taught that drinking coffee is bad, eating gluten is bad, but it is really eating lectin that is the culprit. Cravings Come From Your Gut Bacteria. Bad bacteria multiply in your gut sending out cravings to your brain for sugar, carbs, grains, and low nutritional food. If you crave sweets, carbs, ect., it’s coming from your stomach. There are microbes in your gut that are not human and live in your system. They fight infection and aid in your digestion. It is the microbes that reside in our gut that digest our foods and signal our brains about the foods we crave. Basically, your brain is relying on your stomach to tell it what to crave. So the brain then is listening to the microbes. As a child if you were given antibiotics or even in the last two years you have taken them they don’t just kill off infections they also kill of your gut flora. Microbes are devastated by antibiotics and they are basically wiped out in a week. Antibiotics Kill off all of our Bacteria, Good and bad. If you eat meat regularly and don’t buy organic, antibiotic-free meat, then you are exposed to antibiotics this way as well. Studies have proven that animals who are given antibiotics pass them right to us. Other products that will wipe out your gut flora killing over 50% are diet soda and Splenda. You may as well swallow a bomb if you are using these products. Stop Drinking Diet Soda and Using Products Like Splenda That are Killing Your Good Bacteria in Your Body. Once you have killed off your gut flora it can take you over 2 years to rebuild it. Ghrelin is a hormone that increases your appetite. It is released from our stomach to signal our brain about whether we are hungry or full. When gut flora is imbalanced this communication doesn’t work and often times causes obesity. By the age of 15, most children have taken so many antibiotics and wiped out their microbes. This could be the leading cause of obesity in our children today. We rely on our stomach to signal our brain for the foods we need. When the good microbes are ruined they can no longer send the signals to the brain for healthy food choices. There are two types of bacteria in the gut. Bad bacteria such as yeast, fungus, mold, and candida. And good bacteria such as Lactobacillus, Acidophilus, and other Lactobacilli. Both types of bacteria feed on different things. The bad bacteria feeds on starch, sugars, and carbs. The good bacteria feed on vegetables, proteins, and the good foods we need. When the balance in the gut is thrown off the dominating bacteria signals the brain for the type of food it thinks it needs and produces cravings to get it. Basically, the bad bacteria take over starts causing us to crave foods that make us fat. It’s not you just saying I need a desert, it’s your microbes telling your brain you need it and causing the craving to make you respond to it. Your food choices are being dictated by the microbes in your gut. The more we respond by eating the foods we are craving the more the bad bacteria multiply and the more cravings we get. That’s why when you go on a diet it seems so difficult the first few days. Once you deprive the bad bacteria of its food by overriding the cravings they become weaker and so do the cravings as the bad microbes are not being fed. There are many studies being done on how microbes in your gut are affecting weight gain. Check out this article to learn more. Buy a High Quality Probiotic & Prebiotic and Rebuild Your Microbes. If you nourish your good microbes and rebuild them then you don’t need to worry about the bad microbes. Once you achieve a healthy balance in your gut things will run efficiently. 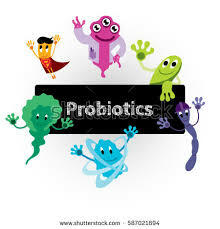 The best way for you to boost your good microbes is with a high quality antibiotic and prebiotic. The prebiotic actually fertilizes the probiotic. There are several good ones on the market you can get on Amazon. Look for one that contains Bifidobacteria, it is the best microbe to enhance overall gut health. For more in-depth information read Dr. Steven Gundry’s book. He also has a supplement available on Amazon that contains a Probiotic with a Prebiotic in a powder form.